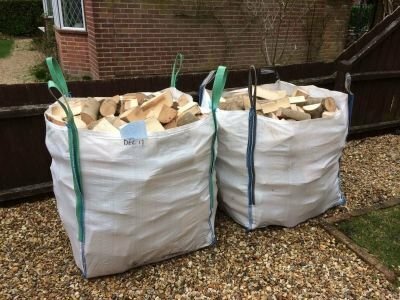 Here at Riverside Logs we provide seasoned, dry, mixed hardwood logs. We take great pride in the quality and appearance of our logs. Our wood is sourced from sustainable forest in the local area. We deliver your logs in aggregate bags to your doorstep. Call us on 01725 517264 to arrange your delivery. We deliver all year round. We also provide wholesale nets of high quality logs to garden centres, shops etc. Please get in touch to discuss your requirements.